Small Meeting Room is (14ft/4.3msquare). The small meeting room can also be used alone or in conjunction with the large Meeting room as a reception, breakfast/lunch/dinner or coffee/tea area. There is a large serving hatch in this room connected to the kitchen. The kitchen is equipped with fridge, kettles, cups and glasses. Tea and coffee are complimentary. 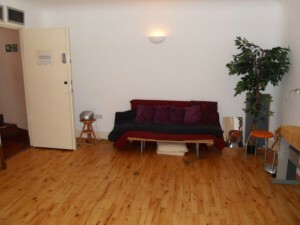 The Small Meeting Room can also be hired as a treatment room .